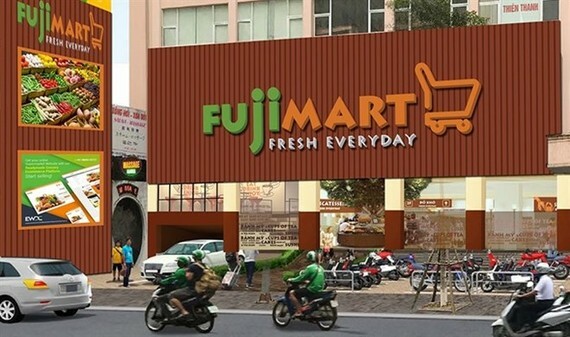 Fujimart Vietnam Retail, a joint venture between Japanese trading house Sumitomo and local retail and real estate conglomerate BRG Group, will open its first Vietnamese supermarket in Hanoi this month. The Fujimart hopes to use its modern Japanese-style retail expertise to attract increasingly well-off consumers in the country. Keisuke Hitotsumatsu, CEO of Fujimart Vietnam, said through the Fujimart retail model, both BRG and Sumitomo hope to provide Vietnamese people with delicious, nutritious and safe food. “Though the retail market is very competitive, Vietnam’s macro-economy recently showed that the demand of the Vietnamese retail market is growing at a double-digit rate. We recognise the trend will continue as Vietnam’s economic prospects are very positive, making Vietnamese living standards get better day by day,” he said. He added that the food retail market is about to undergo a major transformation, as growing interest in food safety shopping could shift from traditional wet markets to modern supermarkets. In 2017, Vietnam’s retail sector earned nearly 129 billion USD, up 11 percent from 2016, a high growth compared with other nations in Southeast Asia. With an over-90 million population, nearly 70 percent of which are at working age, 34 percent living in urban areas and annual income per capita reaching 2,385 USD, Vietnam is considered to have huge room for retail growth. 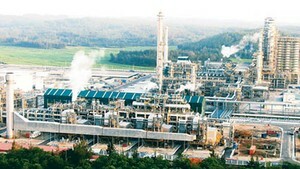 Hanoi and HCM City are the two most developed cities, with a total combined retail area of 2.5 million square metres. However, the figure represents an average of 0.2 square metres per person, much lower than in other regional cities, such as Thailand’s Bangkok at 0.89 square metres, Singapore (0.75 square metres), China’s Beijing (0.65 square metres), Malaysia’s Kuala Lumpur (0.64 square metres) and Indonesia’s Jakarta (0.44 square metres).